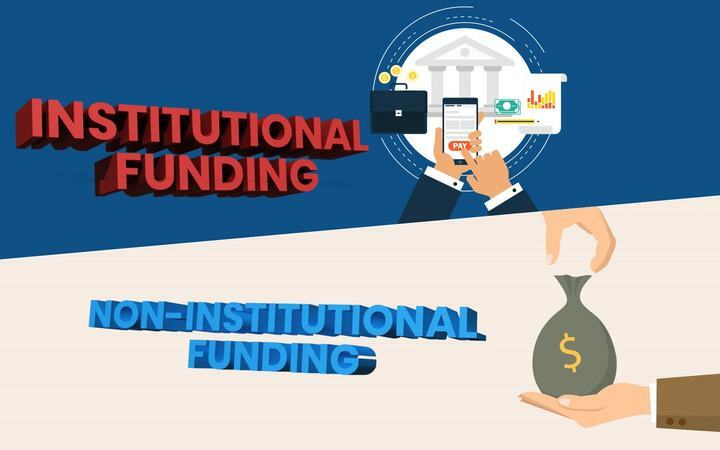 Why Institutional Funding is better than Non Institutional Funding? Flexiloans / Fintech / Why Institutional Funding is better than Non Institutional Funding? With ‘startup’ being the buzz word in the current century, it seems as if every next door neighbor is coming up with a new business idea. Some ideas are bootstrapped while some require funding as they are capital intensive. What do entrepreneurs do when the business ideas are capital intensive? 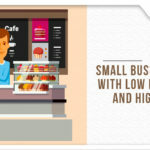 There are mainly two options one can avail to start a business. There’s a pervasive myth that no debt is good debt. Whenever we’re talking about owing money these days, it’s almost always in a negative light. The word ‘debt’ has always been approached as a taboo word especially when it is taken on professionally through a bank. Whilst the money could be for a new business plan or an existing one which requires investment for its current operations and working capital, borrowing money should always be done professionally through a bank and not by friends and family. But in reality, debt funding from institutions can be a lot better than family funding. Institutionalised lenders typically have a lower cost of funds than other lenders. Depositors (their retail customers) keep a lot of money in their checking and savings accounts. Thus, institutionalized lenders have easy access to those funds to lend out. And, if institutionalized lenders don’t pay interest for those deposits or pay very little interest like they do today (most pay under 6.5 percent) – then those funds are very cheap for the bank to use. Plus, all institutionalized lenders can access reserve funds. Also read- STRAPPED FOR CASH FOR YOUR INVENTORY? INVENTORY FINANCING COME TO THE RESCUE OF SMALL AND MEDIUM ENTERPRISES LOOKING TO FUND THEIR BUSINESS. Private lenders on the other hand either have to get funds from investors who are looking for decent returns or from other institutionalized lenders and who lend these private lenders funds at higher rates then it cost them to acquire that money. Either of which raises private lender’s cost of funds which in turns gets passed on to their loan rates. Most private lenders in India are unregistered money lenders in the villages who are known for charging high-interest rates to the businessmen because the borrowers in the Indian villages are uneducated and misguided. Then there is the set of non registered lenders in the cities who give off loans to the borrowers and collect deposits from lenders, all under the table. Many of these lenders have been carrying out this business since years through family tradition. The other set of private lenders are friends and family from who you borrow without a formal contract or agreement. Most of the loans are taken are on a verbal agreement without caveats attached to it. Loans to family and friends tend to be open-ended. The parties don’t reach an agreement on a timeline for repayments and don’t include interest on the loan. Lenders don’t know when their money will be returned, and borrowers don’t know when to repay the loans. Many times a business may go bust and the borrower is not capable of repaying the loan. In case of an institutional loan, there is always some collateral attached to the loan that the bank may acquire once a person is unable to pay the loan. But in the form of a personal loan from a friend or family member, or money lenders no collateral is attached thus, losing out on the money and even the relationship. It strains the relationship between two parties, making gatherings awkward. A bank needs to earn a spread on their loans of say 6% to cover the bank’s direct expenses and overhead costs (their cost of being in business). If they can acquire funds at 1.25% then they can lend them out at 7.25% and still earn their spread. A private lender might need to earn a spread of 4% to cover its operating costs. But, its cost for the funds it lends out could be 6% or more to either repay the bank that lent them that money or to repay investors. If the private lender’s costs of funds are 6% and it needs to earn a spread of 4% – it has to charge 10% to a minimum or go out of business. While the rate charged by family members/friends would differ and is quite subjective the average rate is anywhere between 6%-20%, some being as high as 18% while some not charging interest at all. Thus, it is easy to see why everyone wants a bank loan as opposed to private lender loans. Compared to bank loans family loans may seem attractive but it has a lot of hidden costs and disadvantages mentioned before which overall is a greater drawback than being an incentive. Ultimately, borrowers are held to a higher accountability than lenders in family-lending situations, so you’ll want to consider all the risks before agreeing to borrow from a loved one. Bank funding is professional, legal and beneficial to the borrower at the end of the day. They take into account the viability of the business, payback period, credit score, and a present value of the loan and then give out the loan benefitting the borrower. At the end of the day professionalism always triumphs over personal relations. Home » Blog » Fintech » Why Institutional Funding is better than Non Institutional Funding?